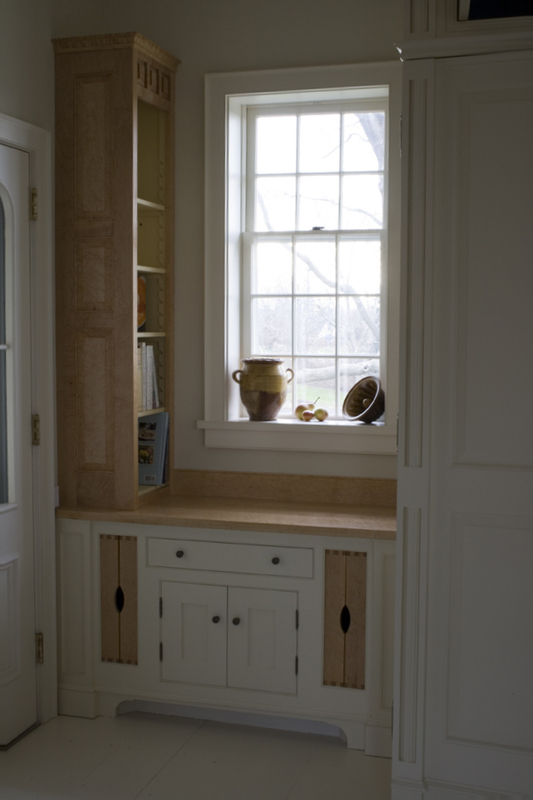 A number of people have stopped by the shop lately and the question most asked is if I do built-in cabinetry such as kitchens, home offices, entry and storage designs. The short answer is yes. Over the years my emphasis has been on furniture, and I design and construct built-ins with furniture in mind. 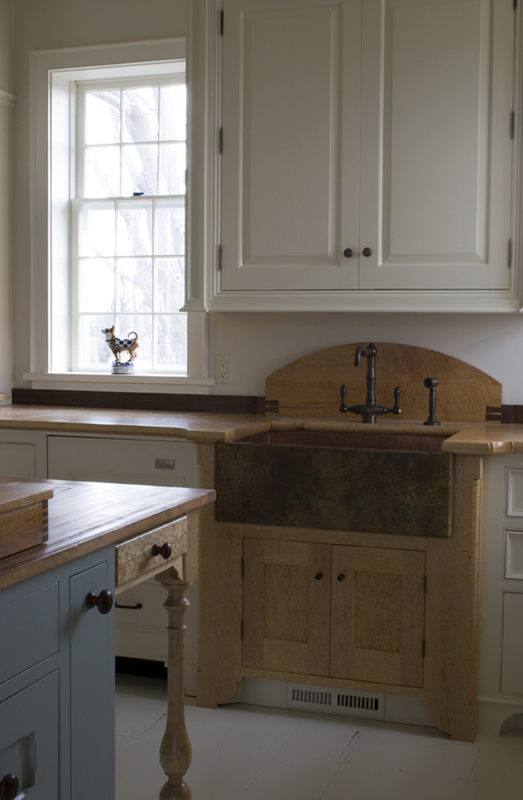 I would be interested in discussing complete kitchens or a single site-specific cabinet. Some recent work includes a storage chest for a Chris Craft 38', a complete kitchen and laundry for a home in Pemaquid and cabinetry for an entry here in Edgecomb. I'll post some pictures of site work. Feel free to call or email about a built-in project you might have in mind.